The boy who dreamt he was king. German luxury car lineups are starting to become reminiscent of films about absurdly large families, like Yours, Mine, and Ours and Cheaper By The Dozen. Much of the plot revolves around fighting over bedrooms, bathrooms, and food, and presumably other things enormous families fight about. The Audi TT RS is the kid that’s tugging at its big brother R8’s shirt tails, wondering how he’s so popular and cool and how he can be like him one day. Does it finally deserve space at the bathroom vanity? Launched in Europe in 2009, the motivation behind the TT RS was sort of, “Well, let’s see what happens when we do this.” It only came to the U.S. two years later because of an unexpectedly robust Facebook campaign. Never the last word in dynamics, the TT RS did gain a following that seemed to value the personality of the car more than race-car reflexes. Because up front was the ode to Audi’s racing heritage, a boosted inline-five so oozing with character and warbling overtones that it could melt a Quattro-devotee’s heart. But for many, the TT RS overachieved in character what it couldn’t display on a circuit. It still sold, however, because that may not have been such a problem. With this 2017 TT RS, the mission was clear to keep it gunning after what it looks up to: the Audi R8. Yet with this 2017 TT RS, the mission was clear to keep it gunning after what it looks up to: the Audi R8. The new TT RS is more focused on being a sports car than ever, but that’s also boosted the charisma quotient. Even from the outside, it wants to be just like an R8. The RS gets a black mesh grille in place of the metallic-painted slats on mainstream models, while there’s either a silver or black surround (depending on options). There’s also a fixed rear spoiler that’s like a punky cowlick sticking up from behind. The TT RS and I have something in common, then. As before, power comes from a turbocharged inline-five, something that has virtually vanished in the wake of modular engine designs and CAFE-chasing fuel economy. For Audi, it’s a revered format that brought rally fame to Quattro and a devoted group of loyalists who crave charming unevenness in firing order. It’s no harder to drive than any other TT, but put your foot down and it awakens to levels casual drivers may not be familiar with. 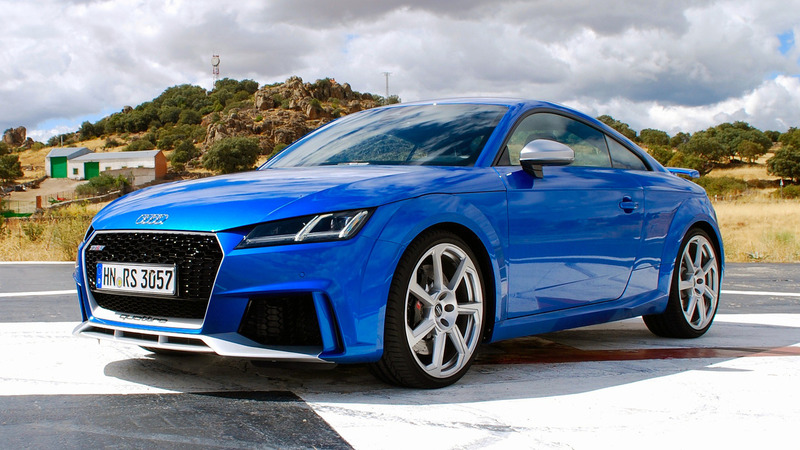 The TT RS is the first benefactor of a new five-pot. The shift to an aluminum block alone saves nearly 40 pounds, a big move towards solving the front-heaviness of the old car. Horsepower is up from 360 in the old car to 394, all coming from just 2.5 turbocharged liters. It’s all routed through mandatory Quattro all-wheel drive and a seven-speed S-tronic dual-clutch transmission. Trust me, you won’t miss the clutch pedal. 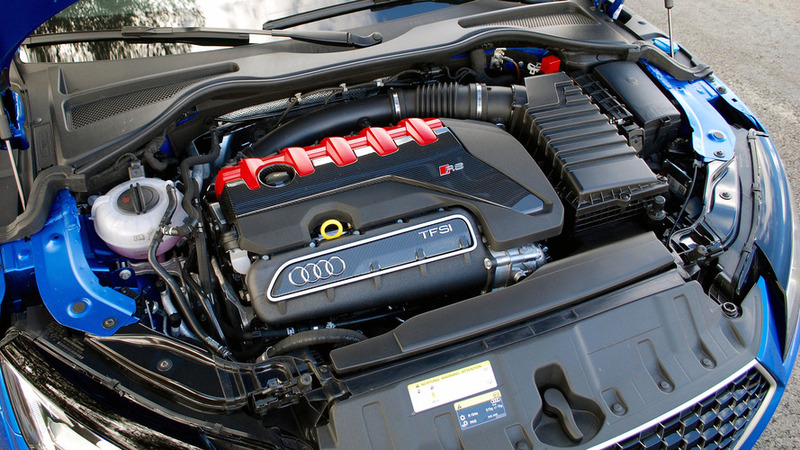 The result is an engine that sounds like nothing else in a TT or any sub-$100,000 car, going 1-2-4-5-3 over and over. 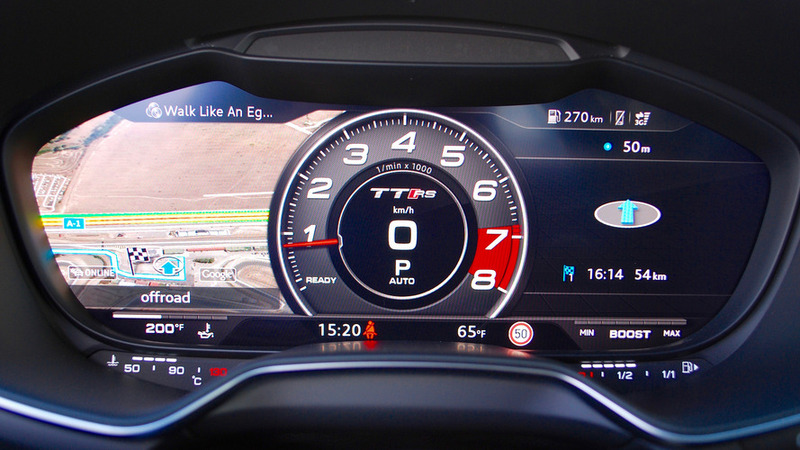 In the right driving mode, the TT RS rips off the line and transmits a ferocious sound that apes its big brother well, but manages to stay different at the same time. If a car could swagger, it would use this engine. The road is where the TT RS shines. Time in a car with the standard magnetic ride suspension served as yet another reminder how entertaining the TT can be on an everyday road – and how it can be boosted with the singing of a turbo’d five-cylinder. If a car could swagger, it would use this engine. It’s no harder to drive than any other TT, but put your foot down and it awakens to levels casual drivers may not be familiar with. 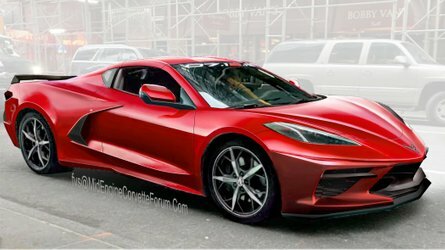 The five comes alive with a rush of boost and a sound somewhat like a Lamborghini trying to get out of its shackles – but not. It’s like an old Volvo T5, but more emotional. All of this pantomime will make you forget you’re still just doing 50 miles per hour on a canyon road. Here is where the TT RS makes your typical backroad come alive. Put it on a track, however, and that character isn’t an asset. Nevertheless, the TT RS can hold its own at speed, as I got to see for myself on Circuito del Jarama in Madrid. The car’s relatively small size and furious engine encourage you to charge through the corners. Then you take the turn and the steering doesn’t respond with the same tenacity, leaving you to rely on the Quattro system to save your bacon in the end. Be more aggressive and the back can swing out at you, too. Or just fuss around with the manual controls instead of leaving the driving mode in Dynamic and the transmission in Sport, and you’ll see the car is smarter than you’ll ever be at moving power around where it should be in order to propel you forward. The TT RS is ultimately safe and quick and amusing around a track. But I doubt it’s enough to sway the sports-car purists. The TT RS exudes happiness and laughter, rather than the sober attitude of some sports cars when they’re driven at three-tenths. But that’s not who this car needs to sway. Skilled drivers may be left wanting, but those who want to feel like they’re going quickly at any speed on any road will be smiling when they step inside the TT RS. It exudes happiness and laughter, rather than the sober attitude of some sports cars when they’re driven at three-tenths. The TT RS doesn’t come to the U.S. until summer next year, so pricing and even equipment levels are at best tentative right now. 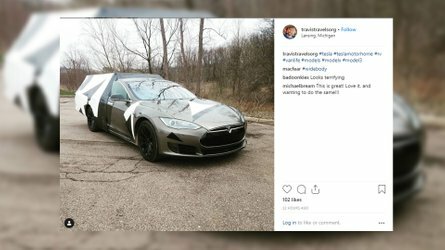 It will be offered as a roadster in markets that aren’t North America. Count on shelling out somewhere around $60,000 for a base car, rising from there with the Dynamic Plus Package and other choice features. A BMW M2 is its closest Bavarian rival, which starts at $53,000, but is also down about 30 horsepower. The Porsche 718 Cayman S starts at nearly $68,000, but is also down about 50 horsepower and gets absurdly expensive once you start checking off the options. Both may be more natural choices, but power outputs reveal how much performance is packed into the little TT RS. 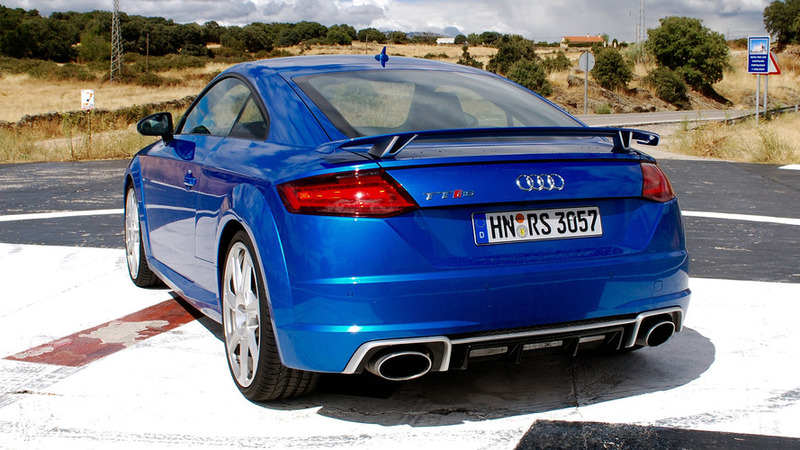 The TT RS isn’t the last word in sports cars, but that’s fine. For the U.S., models with an optional Dynamic Plus Package will ditch the magnetic ride for fixed-rate steel springs, the thinking being track-focused buyers will want the predictability of the fixed-rates and the ease of being able to swap out the stock springs for something that suits their needs better. 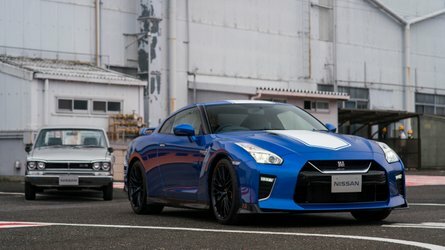 The package should also include ceramic brakes up front and a boosted top speed limiter to 174 miles per hour. 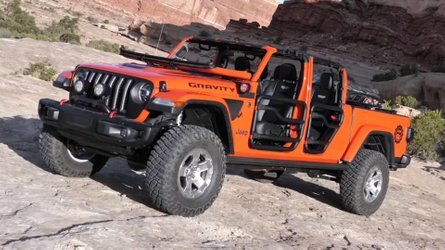 All models are expected to get the Sport Exhaust system that mutes the noise when you’re driving up a cul-de-sac but lets this five’s voice bellow when you want it to. Your neighbors might report you to the cops as having a Lamborghini disturbing the compound. If that pricing holds, there should be enough people who aren’t all about track days and lap times and value a feisty little machine that can be comfortable enough to be fun every day, but entertain somewhat when the moment strikes. 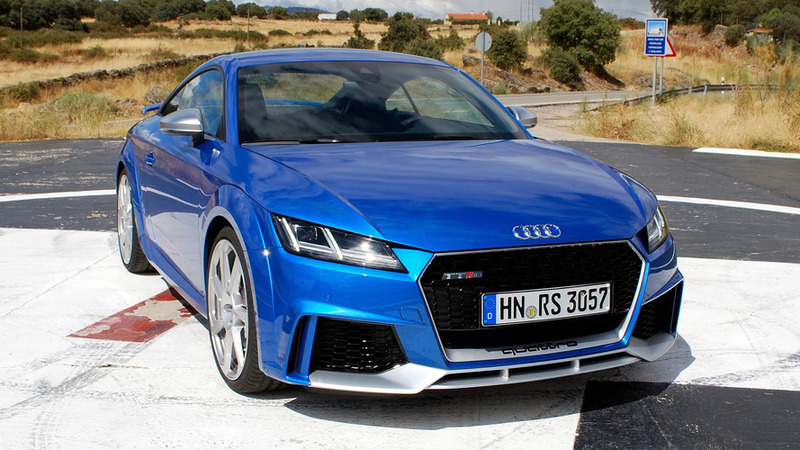 The TT RS isn’t the last word in sports cars, but that’s fine. It can be in awe of its big brother and learn to develop a personality all its own.